The ticket can be collected at PARISCityVISION any time during the opening hours. The Église du Dôme is a royal chapel adjoined to the Saint-Louis Cathedral. Standing at 351 ft. tall, it has become a military sanctuary, housing the tomb of Napoleon I. A 30–40 minute interactive visit is available for an added cost, allowing you to discover the history of this iconic part of France's history from the era of Louis XIV and Napoléon Bonaparte. 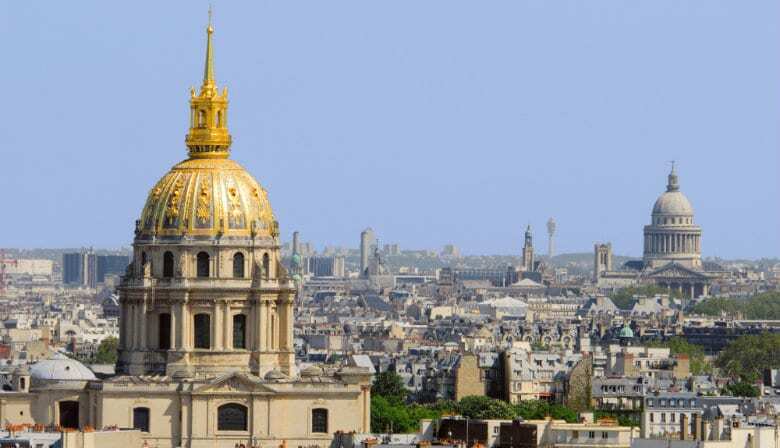 Its gilded dome is visible from all of Paris's elevated viewpoints. - 2 rue des Pyramides, 75001 Paris. Metro: Pyramides, Palais Royal, Tuileries. - 36 avenue de la Bourdonnais, 75007 Paris. Metro: Bir Hakeim, Ecole Militaire.